Where are we on fur, guys? I wish I were with it enough to fully understand the arguments on both sides of the aisle - though I imagine that they're pretty straight forwards in terms of 'never kill cute baby animals" vs. "we're humane hunters" vs. "I don't give a __" Cruella de ville-sque characters. so go ahead and forget I spoke. Anyhow - I may not know the real issues behind fur, but I sure as heck am lazy enough to form immature and baseless assumptions substantiated by absolutely no real evidence whatsoever. And it's the Internet! So I can! 1. They are not from here. Or if they are, they aren't internally. In fact, regardless of their stature, I do feel some sort of deep inner connection with the modern day mink-clad misfits. As someone raised feeling wholly out of place with her surroundings, I relate strongly to those who choose to swathe themselves in the pelt of a dead animal over a North Face 600 down fill parka. 2. like me (&Mackelmore) and quite fond of furry thrift store treasures. You know how many people comment when you wear fur? A lot of people comment. 4. They probably have a big personality. There are very few unsocial hermits who opt for fur nowadays. I'd recommend striking up a conversation. 5. They're a wee bit funny smelling. or they're my age and sporting some 70-year old clothing. and full of a strong sense of irony and an even stronger desire to be noticed. So, when you see fur, what do you think about? 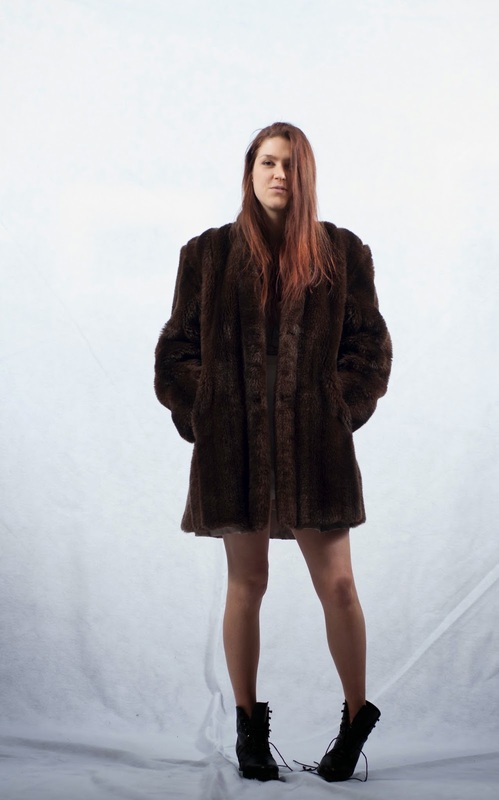 I lived in WI for the majority of my life and wore thrift shop furs to battle the cold. Eventually I learned more about the fur industry, things that couldn't be unseen, and decided that I didn't want to be associated with the message that even vintage fur sends. I didn't even want the secondhand furs in my home.